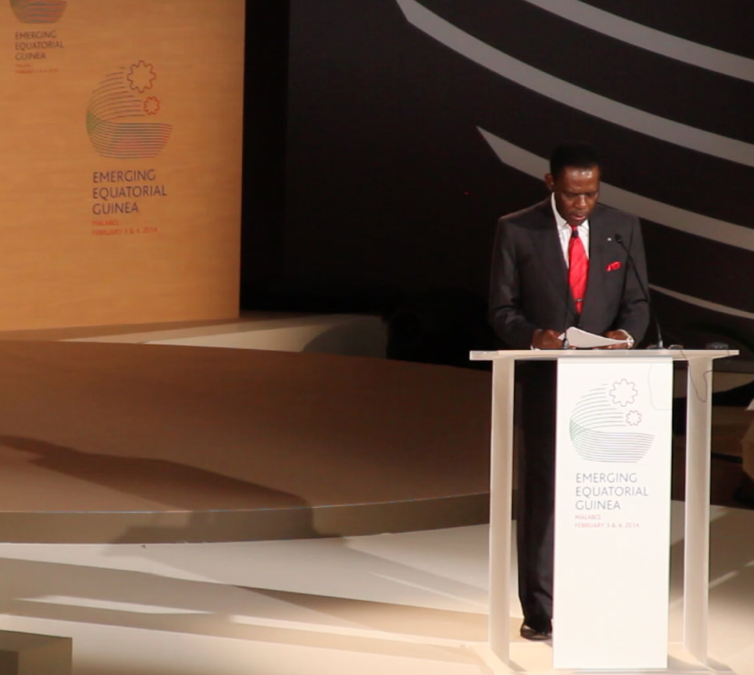 President Obiang Nguema Mbasogo addressed Equatorial Guinea's first economic diversification summit, discussing the country's recent development. He specifically mentioned the national development plan, Horizon 2020, and entering the second phase of the initiative. According to President Obiang, the country experienced significant economic growth due to oil production, which they used to promote infrastructure development as well as social and cultural development. Now, the country is working to expand international investment in the private sector in order to diversify the economy. During the first economic diversification summit in Equatorial Guinea, the Minister of Economy, Conrado Okenve Nhodo, discussed next steps for development. He mentioned the national development plan, Horizon 2020, and implementing the second phase of the plan, which involves increasing international investment in the private sector. According to the Minister of Economy, this was the main objective of the summit. World Bank will support establishment of statistics institute in the country. Perceptions of Equatorial Guinea are skewed by outdated statistical data, said representatives of the World Bank and IMF participating in a panel at the Emerging Equatorial Guinea conference today in Malabo. “Statistics about Equatorial Guinea are very much outdated, particularly poverty numbers,” said Gregor Binkert, World Bank country director for Equatorial Guinea, Cameroon, Gabon, Central African Republic, Angola, and Sao Tome and Principe. “Some of the figures [cited in public sources] are from as far back as ’05 or ’06,” he said. Binkert said The World Bank would support the establishment of an official statistics institute and a system for collecting and analyzing statistics in Equatorial Guinea. The government of Equatorial Guinea has long disputed statistics claiming that the vast majority of its population is extremely poor. Many visitors to the country and expatriates have noted that, while poverty exists, there is no anecdotal evidence to support the kinds of statistics that are generally repeated in news and other reports. “We look at economic performance based on the information we have, but the figures are unreliable, often suppositions,” Shields said. Statistics on gross domestic product and income distribution need to be reevaluated, he said. Shields said that statistics need to be gathered to analyze and improve public expenditure—to determine whether it is sustainable and sufficiently controlled, and how it can be improved. Both men agreed that the lack of reliable statistics is a problem throughout sub-Saharan Africa, but it is particularly acute in Equatorial Guinea, which has experienced enormous growth and development over the past ten years. Binkert called Equatorial Guinea’s physical infrastructure, in which it has heavily invested its petroleum revenues, “impressive,” and said that he believed Equatorial Guinea has entered a period in which it should place greater emphasis on social investments such as public health and education. Binkert said that The World Bank will develop programs to encourage Equatorial Guinea to study other countries that have transformed their economies or have other experiences that can be helpful, like South Korea, Singapore, Colombia and Costa Rica. These programs would include visits, exchanges and twinnings. The panel discussion was held as part of the second and final day of the Emerging Equatorial Guinea conference, an investor conference being held in the Sipopo international conference center outside Malabo. Some 700 persons, including 400 international business representatives, attended the opening day’s sessions. Infrastructure, financial controls, political stability and equal treatment of investors all cited as favoring investment. Economic experts attending the Emerging Equatorial Guinea conference today cited infrastructure, political stability, financial controls and non-discriminatory treatment of investors as advantages for investment in the country. Nchama said that the perception of Equatorial Guinea outside the country is largely erroneous and outdated, but that the country’s dynamism is clear to anyone who visits. “Equatorial Guinea is really the place where investors will find no risk,” he said. Rodrigo de Rato, a former managing director of the International Monetary Fund who was Spain’s minister of the economy from 199-2004, also praised the country’s investment in infrastructure as setting appropriate conditions for investment. He singled out some of the institutions the government has created to control finances, such as the Court of Accounts, as helping to create a more transparent environment. Mr. De Rato encouraged the country to follow up on its stated desire to join the Extractive Industries Transparency Initiative and to continue to shift more of its investment from physical infrastructure to social infrastructure such as education and public health. “There is no turning back,” President Obiang tells potential investors. Equatorial Guinea has used income from its natural resources to prepare the country to establish a modern, diversified economy, President Obiang Nguema Mbasogo told a attendees at a conference on investment, and is now in the second phase of his Horizon 2020 development plan. “This is not the same country that turned desperately to donor conferences in the 1980s, when donors asked, ‘Where is this country?’ and ‘What guarantees does it offer?” the president said in his opening address to 700 attendees at the Emerging Equatorial Guinea conference in Malabo’s Sipopo conference center. Electric power now covers the entire country, the country’s highway system is 80 percent complete, and has modern ocean ports and airports, he said. The nation has developed organs for more efficient public administration. It has also developed its social infrastructure, totally reforming the education system and creating technical training schools and a modern university. It has built and staffed hospitals, provided potable water, and modernized its telecommunications system, including making the Internet available, he said. President Obiang said that Equatorial Guinea’s geostrategic position, political stability, and the progress it has made in development create ideal conditions for investment. He said that the government will have a sovereign wealth fund to participate with investors and was confident that Equatorial Guinea, from its position within the Economic and Monetary Community of Central African States, will contribute strongly to growth in Central Africa. 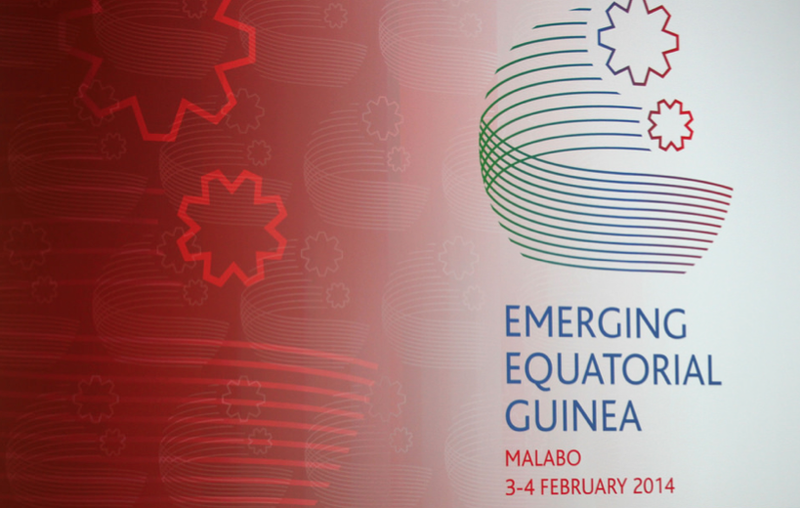 Equatorial Guinea is hosting a two-day conference for investors, including more than 400 international business representatives from countries ranging from Europe, Asia and the Middle East, the Americas, and Africa. Equatorial Guinea has targeted agriculture and ranching, fisheries, petrochemicals and mining, financial services, tourism, aviation, transport and telecommunications. Conference attendees are learning about development and investment opportunities in Equatorial Guinea and will be able to meet with local counterparts. President Obiang launched his Horizon 2020 development program in 2008 with the goal of creating an emergent economy in Equatorial Guinea by the year 2020. 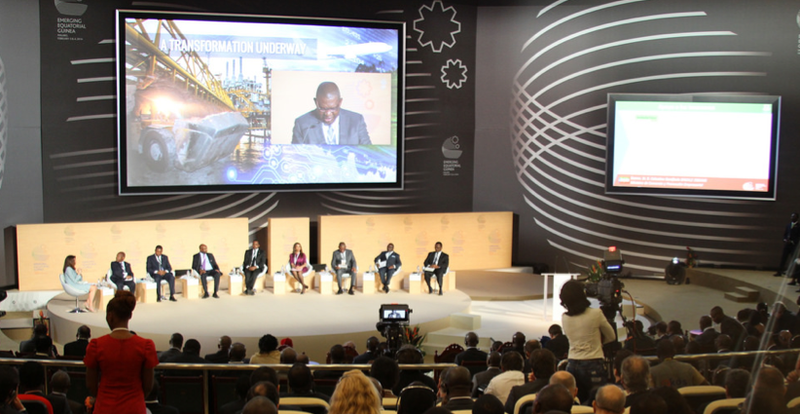 February 3, 2014 - On February 3rd and 4th, leaders from around the world will convene at the Sipopo Convention Center in Equatorial Guinea to discuss economic diversification within the country at the Symposium for Economic Diversification for the Emergence of Equatorial Guinea. 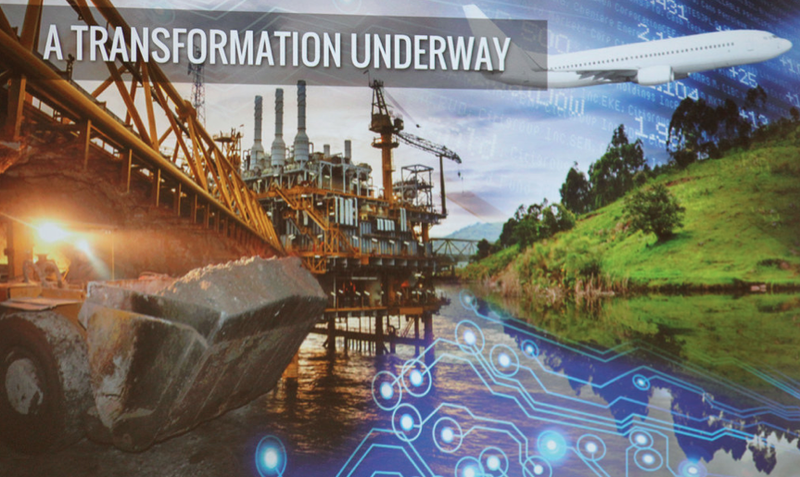 The Symposium is specifically designed to emphasize recent development in some of the nation’s top industries, including agriculture and ranching, fishing, petrochemicals and mining, tourism and financial services. Keystakeholders, including government officials, private sector executives, financiers, entrepreneurs and industry experts, will attend the symposium, which will begin with a speech from President Obiang Nguema Mbasogo. For the last decade, the Government of Equatorial Guinea has been working to diversify its economy by investing in the growth of its private sector. With revenue from the country’s booming petroleum sector, which saw significant growth in the 1990s, the Government financed major infrastructure projects throughout the country. These initiatives were major components in the economic diversification and industrialization plan, PEGI 2020. This event provides the Government an opportunity to showcase its recent growth and promote international investment in order to continue the advancement of its economy and play a more competitive role in the global market.